Come with us for a trip down memory lane, where we will take a look at an extremely exclusive little piece of football history. 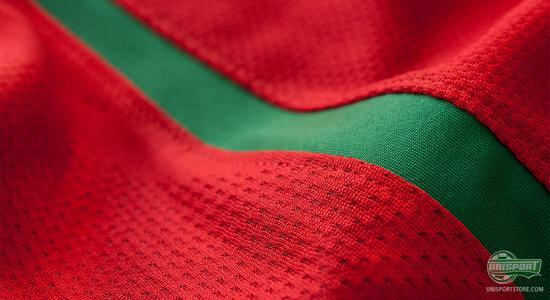 We have been fortunate enough to be able to borrow a Portugal home shirt from 2008, the Limited Edition. This shirt is actually so limited, that we have been told it is the only one of its kind in the world. In 2004 Portugal hosted the European championships and the team packed with stars, and the team with the home advantage was seen as one of the favourites to take the gold. Christiano Ronaldo, Luis Nani, Rui Costa, Helder Postiga, Deco, Ricardo Carvalho etcetera. The list of stars was long and specially Ronaldo would get his major breakthrough during this tournament. 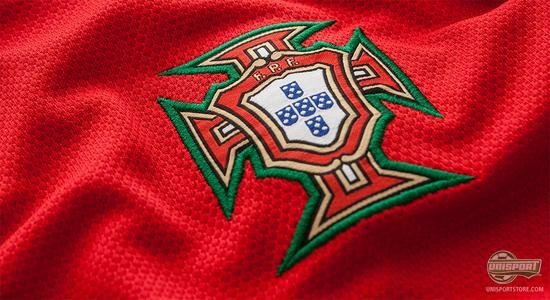 Unfortunately for the Portuguese, they did not make it to the final, as they suffered a defeat to Greece, who where responsible for the biggest positive surprise of the tournament. Four years later, in the year 2008, the Portuguese where ready to go all the way. The role as host was split between Austria and Switzerland, and the Portuguese where not afraid to take on the role as one of the top favourites. 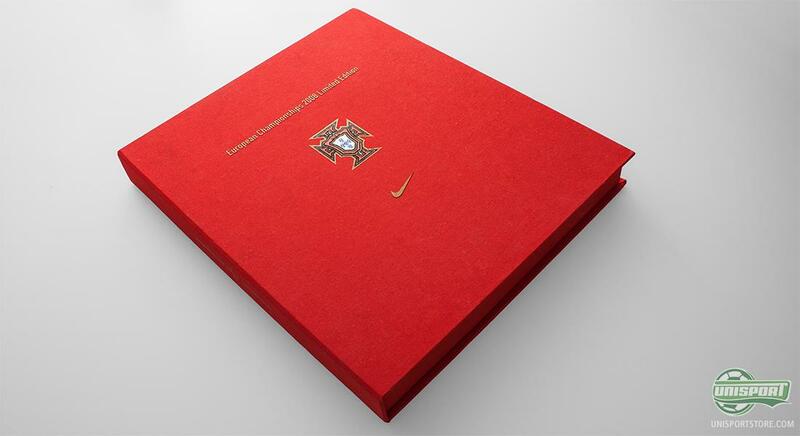 Portugal had never won the gold in a major international tournament, but with a team as strong as their 2008 squad, many were convinced that they would go all the way and take the title. Portugal got in a group with Switzerland, Turkey and the Czech Republic, and in most peoples eyes, the road was already paved. The Portuguese did deliver in the group games and made it through as the number one. In the quarter finals, another favourite to take the title awaited; the Germans had also made it through their group games and were now ready to seriously test the Portuguese. The German team, led by coach Joachim Löw, would prove to be too big a handful for the Portuguese, who had to return home after a 3-2 defeat. The Germans would, later on, manage to go all the way to the final where they then lost to an amazing Spanish team. 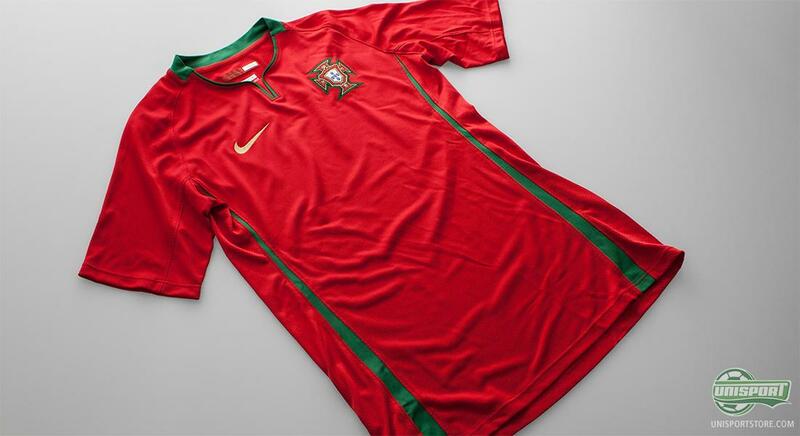 But one thing is more or less certain when it comes to Portugal and their shirts. As most people have, we also have a list of favourites among clubs and national teams, who, in our opinion, manages to always deliver in terms of shirt designs, and Portugal can be found on this list. The red colour is nicely complemented by the green, combined with the carefully detailed logo design results in an excellent shirt that we gladly look back at, and remember from 2008. 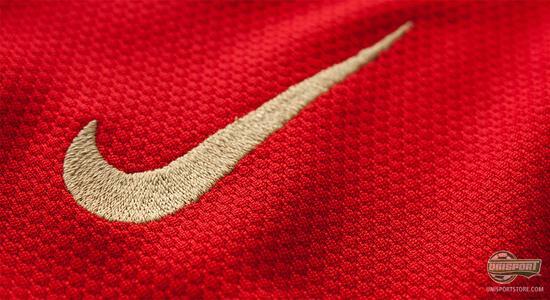 Again, American Nike are behind the shirt, which not only means that the design is ensured to be good, it is also a guarantee of quality. In addition, this exact shirt is in a class of its own. 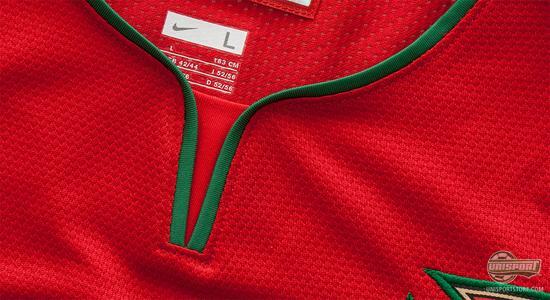 The material is the exact same as the players wear and is built with Nikes Dri-FIT technology, that wicks sweat and moisture from the body. This ensures a truly excellent level of comfort, and even though we have not dared to try this specific shirt on, we are not afraid to promise that the comfort is absolute top level. As we know it from other Player Issues or Authentic shirts, the manufacturers will go to great lengths to provide their athletes with with the best possible experience from the products. 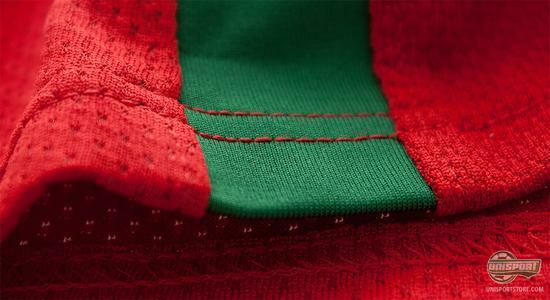 The V-neck has been equipped with elastic to ensure that neither shirt nor player will be hurt or damaged if an opponent grabs the shirt. Luckily this kind of dirty play is not seen very often in modern football  Not... I am obviously joking. 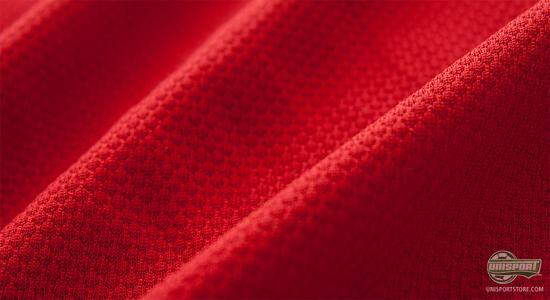 Nike have equipped the shirt with the elastic material on the most vulnerable areas, which just adds to the durability of this high quality football shirt, and emphasises the amount of work and dedication from Nike during the design process. As we mentioned previously, this should be the only example of this specific shirt in the whole world. 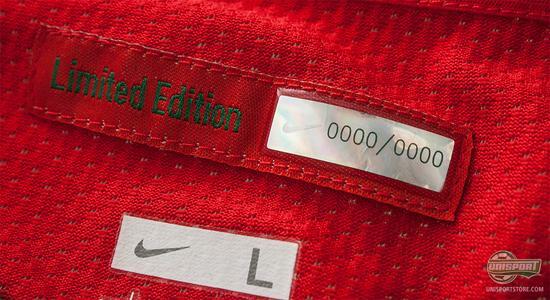 Written in the back of the neck is the proof of the limited edition as it says Limited Edition 0000/0000; we find this very cool. An exclusive shirt like this is, of course, not delivered as any other shirt; it comes in a special exclusive box. We are very proud to have had the opportunity to borrow this shirt for our Memory Lane, and are happy to share it with you. 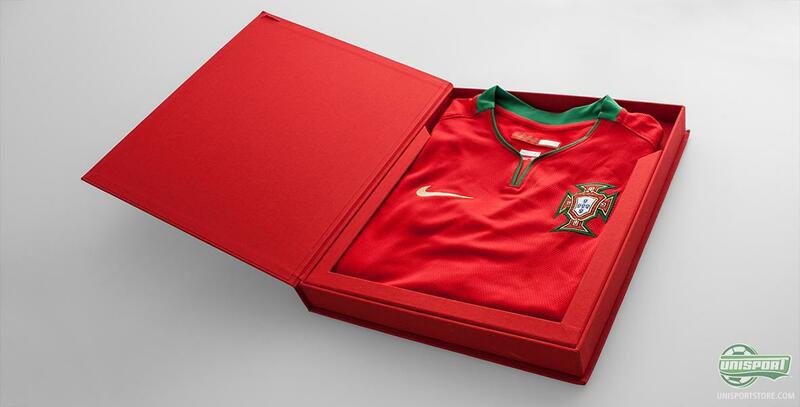 We look back at the shirt, the tournament, Ronaldo, Nani and the rest of the Portuguese team, and we will surely remember this exclusive shirt well into the future. What do you think of the Portugal home shirt from 2008 Limited Edition? Would you like to be able to add this shirt to your collection? Feel free to leave us your comment in the field just below.